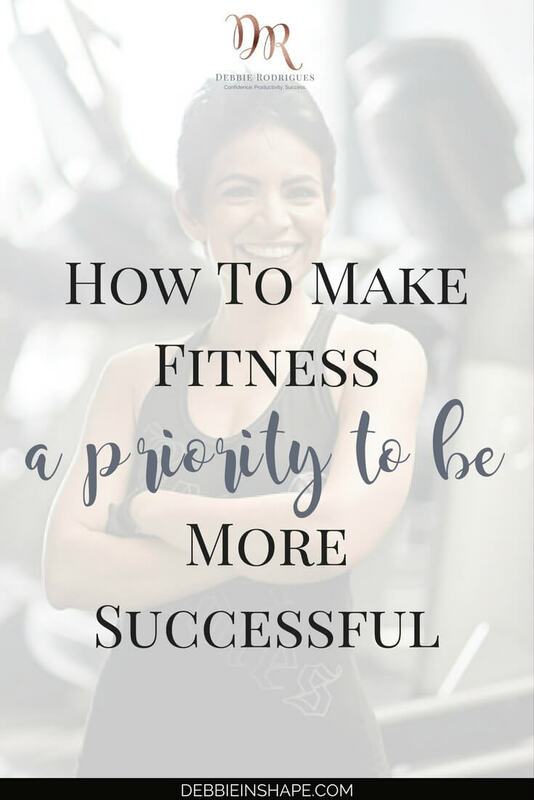 Don’t assume you need to make fitness a priority just because of looks. Its benefits go way beyond what you see in the mirror. 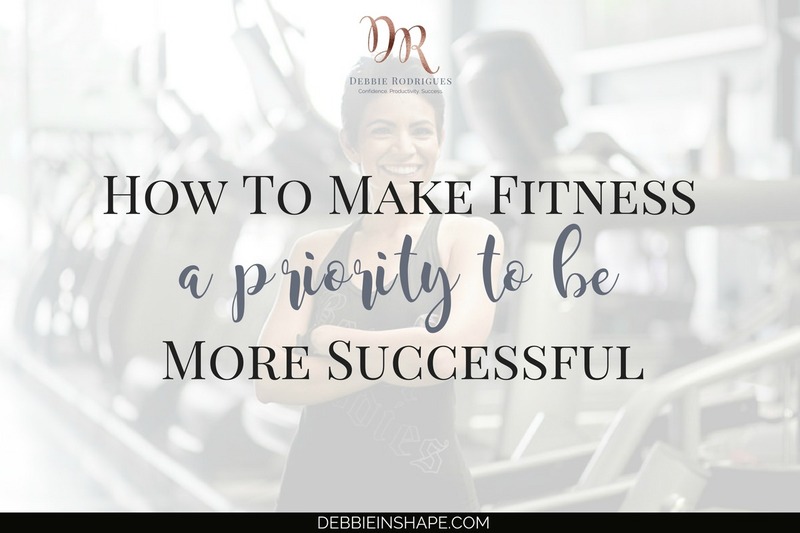 It took me years to make fitness a priority in my life again. After moving abroad, attending college in a foreign language, and finding a job, the last thing I had in mind was my shape. The truth is I only started to put on weight around my 30s. And it took me a while to realize it. I have never spent too much time in front of the mirror anyways. With my busy schedule, it was out of the question. Besides, the weather in Belgium is too cold for a Brazilian like myself to show off even during summer. Making a long story short, a friend shared a video from Bodybuilding.com on Facebook. It featured the MMA legend Randy Couture, and it caught my attention. The Captain America talked about the benefits of working out for longevity. I watched it a couple of days after I almost “died” trying to catch a train. Running down the stairs of the station left me without breath for minutes. I thought I was going to pass out. Fast forward some months; I bought Kris Gethin’s book Body By Design to get back in shape. My boyfriend had taken my “before” pictures, and I didn’t like what I saw. I was motivated to do whatever it took. When I reached the workout session of the book, I learned about AM workouts. What?!? Do I have to wake up even earlier to do cardio??? Then and there, I closed the book and didn’t touch it again for almost 2 years. What happened during those 2 years? I wasn’t getting any younger. My shape was getting worse. My self-esteem was at its lowest. I didn’t have energy or motivation. My health was paying the price. While it’d have been easier to stay on the same path I was, I felt I couldn’t postpone it any longer. Suddenly, waking up about one hour and a half earlier than normal didn’t feel that bad. To my surprise, I also found time to work out twice a day, 5 days a week, and cook in bulk on the weekends. But the craziest of all was that even though I was a lot busier than before, I had the energy to do everything. I felt great about myself and my accomplishments and it was showing in my work. 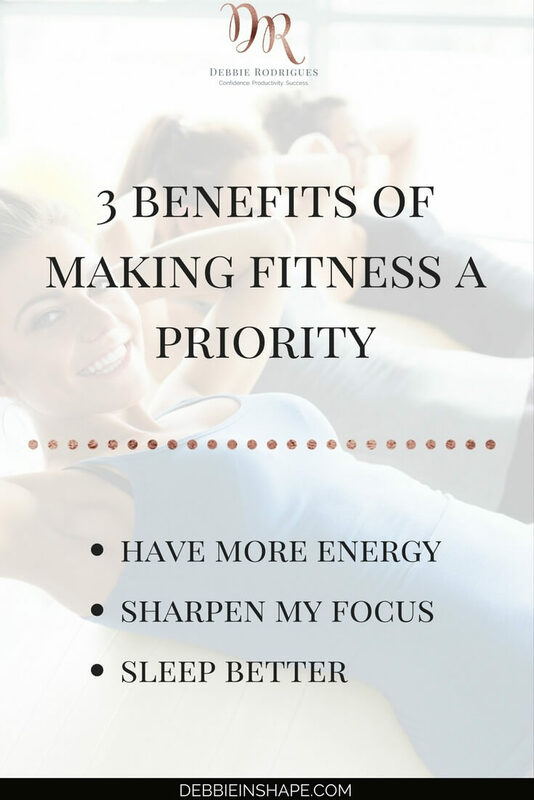 The secret to making fitness, or any other good habit, a priority in your life is having a reason. Note I’m not talking about an “excuse,” but a burning desire to improve. In my case, I knew I deserved better. This mindset shift made a huge difference. And let me tell you one thing: I’m writing this blog in 2018. In all these years, the only time I didn’t do any physical activity was during my recovery from the brain tumor surgery. Once I felt strong enough to get back to the gym, I did it right away. As a result, I feel younger and healthier than ever. 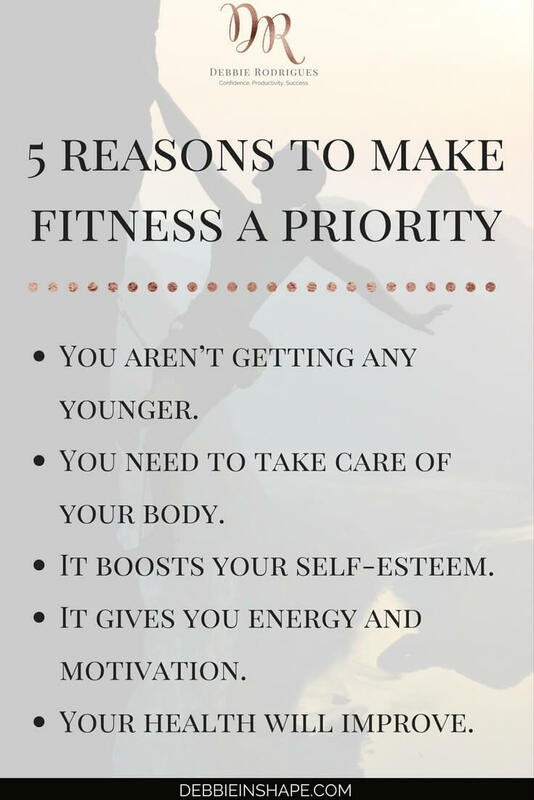 That’s why I find it so important to make fitness a priority. 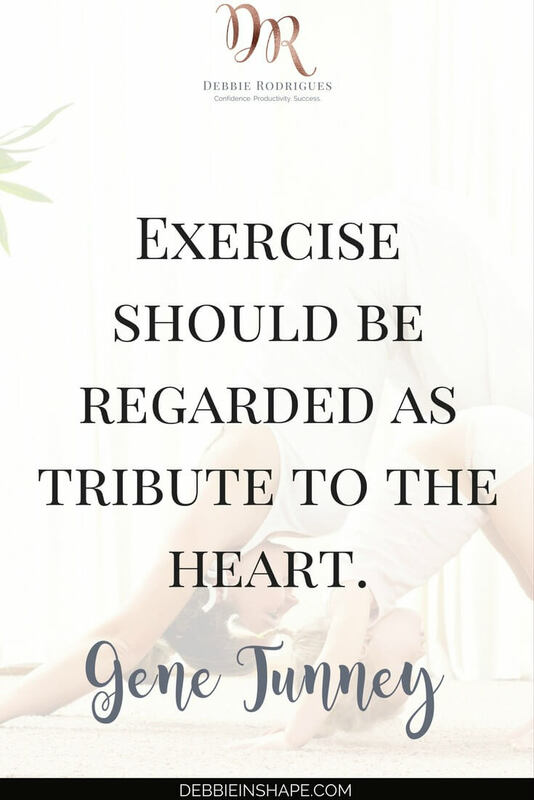 How would your life improve if you started working out on a regular basis?